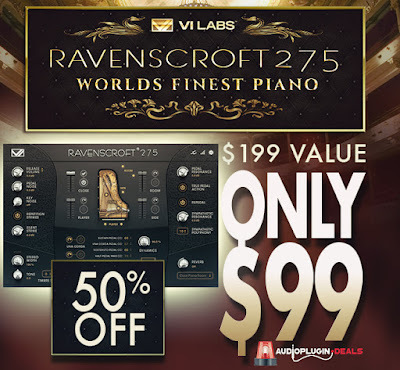 For an all-time low and APD exclusive price of $99, get this one-of-a-kind concert grand which has been recreated using nearly 17,000 samples and 4 discrete microphones, controlled from an easy to use interface. It’s one piano that works for all styles. And gorgeous detail is abundant. Crystal clear hammer attacks, unique muted strikes, staccato release trails, lush Una Corda, and sampled resonance lead to a level of realism previously unobtainable in a virtual piano. This is a unique opportunity to grab this amazing library at half price, don’t miss out!